Are Your Dampers Really Damaged? Dampers are probably one of the most underrated components of a suspension system. A layman would imagine nothing more than springs when their mechanic brings up suspensions in the bill. Well, it takes more than just spring coils to complete a suspension set up and dampers are an important component. In simple words, dampers calm an over-excited spring. 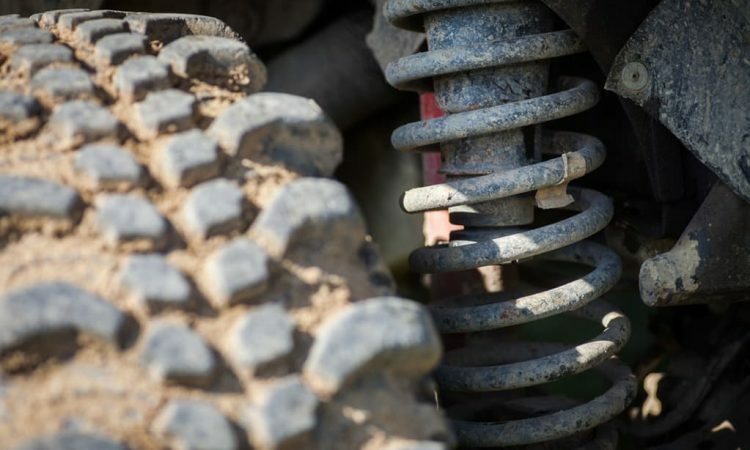 An uncontrolled set of springs can pose a greater danger while encountering a turn or bump at high speeds. Thus the right amount of resistance is needed for the apparatus to help keep the wheels on the ground. A damper is essentially a tube with pistons on one end and a hydraulic liquid inside. As the springs of your suspensions move back and forth, the liquid inside the dampers provides resistance to keep in under control. Unlike the flashy shiny components of your car, a damper is hard to notice and so are its application. One beautiful day if you feel that your car is bouncing off more than before, chances are that you have baked your dampers. 1) The most common way of spotting damaged dampers is when your car swerves under high-pressure braking. This happens as your worn dampers can no longer control the weight transfer of the car and the piston in the damper is compressing too rapidly. 2) Yet another clue for damaged steering can be known through steering vibrations. While this might also indicate an out of balance wheel, it would be appropriate to get your damper checked too. 3) Fluid leaks from your suspension are one of the earlier signs of a worn out damper. This could often be a result of the hydraulic fluid leaking after excessive wear. 4) Old school techniques to check your damper would be to park your vehicle and individually compress each wheel. If any of the wheels bounce more and takes time to return to the normal position, your dampers might be damaged.